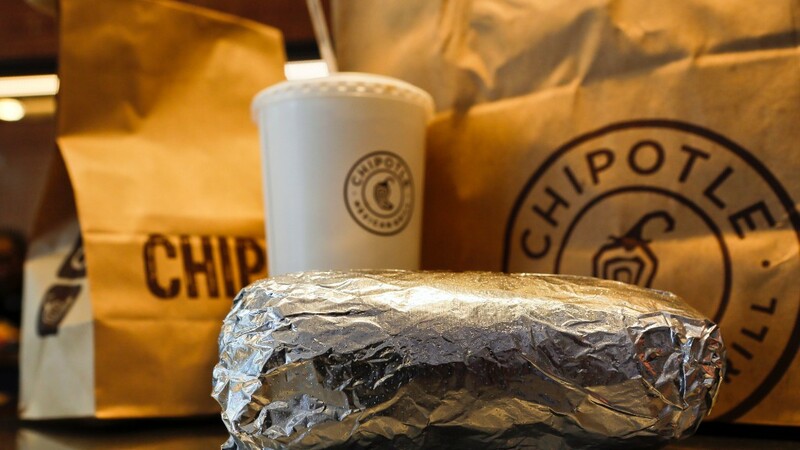 Chipotle Mexican Grill will begin offering entry level workers some of the same benefits it gives salaried employees, including paid time off when they get sick or take a vacation, as well as tuition reimbursement. The new perks will take effect July 1, a spokesman confirmed. Chipotle executives first announced the news at a human resources convention in Dallas last week, according to a report in Restaurant News. The report cites J.D. Cummings, recruitment strategy manager at Chipotle, as saying the company wants to attract qualified workers and give them more opportunities to advance. Cummings said the benefits will help Chipotle recruit more high school and college students, which the company sees as its "target demographic" for restaurant staff. The goal is to help employees work their way up to manager or franchise owner, he added. "You've got to promise them you're going to develop them," Cummings is quoted as saying. "You've got to promise them a future that if they are dedicated and good and strong for the company, you are going to reward them." Chipotle did not immediately respond to a request for more details on how much paid time off hourly workers will get and what conditions, if any, they must meet to qualify for tuition reimbursement. Other big restaurant chains have been offering similar perks and better pay to workers in an industry that is known for paying low wages. Starbucks (SBUX) announced in April that it will cover the cost of four years tuition at Arizona State University's online program, giving full and part-time employees the chance to earn a bachelor's degree for free. McDonald's (MCD) also recently announced plans to raise wages for its workers, promising to pay at least $1 more than the local minimum wage to the 90,000 workers who work at its company-owned restaurants. However, the move does not apply to its franchise locations, which account for 90% of all McDonald's workers.